Three Tips for the Kindergarten Year - with Cecil and Lou! 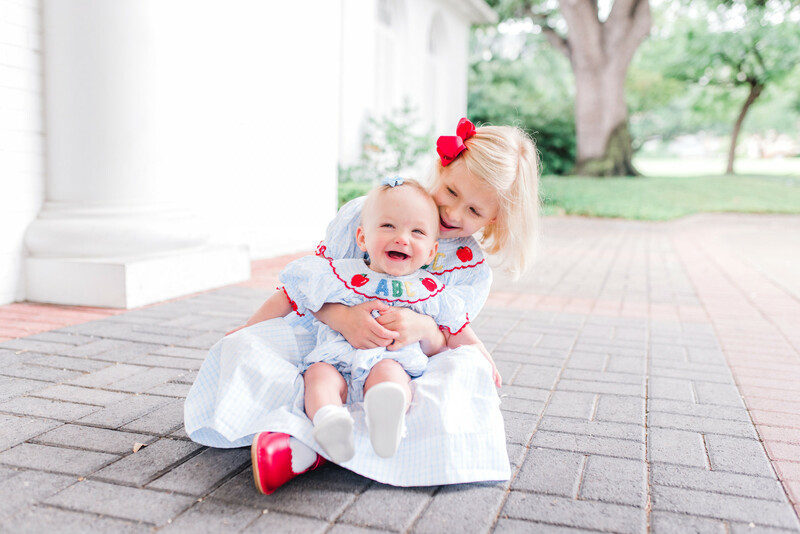 Three Tips for the Kindergarten Year – with Cecil and Lou! In a few weeks I’ll do the kindergarten drop off thing for the third time so I had to get the perfect “ABC” dress to mark the occasion. 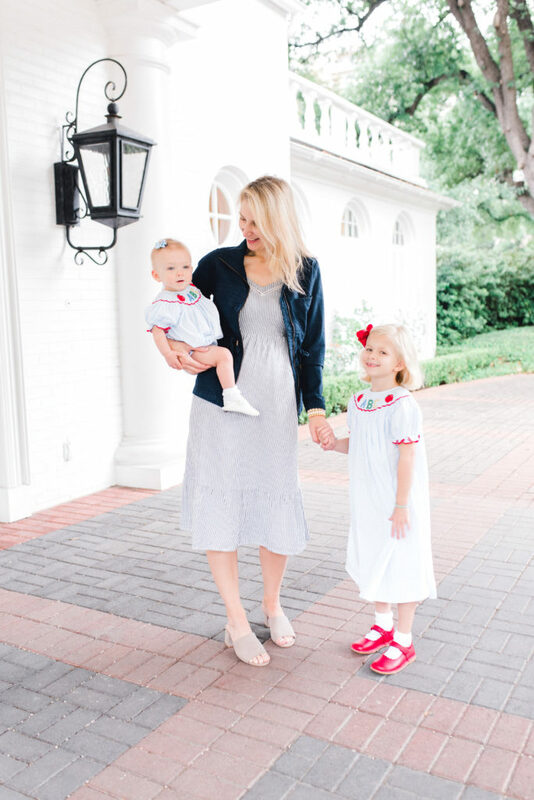 Today I’m delighted to partner with Cecil and Lou today to share some darling (and super affordable) back to school themed outfits as well as encourage other moms who are facing this big milestone with nerves and lots of emotions! This post is sponsored by Cecil and Lou. Thanks for supporting the brands I love! 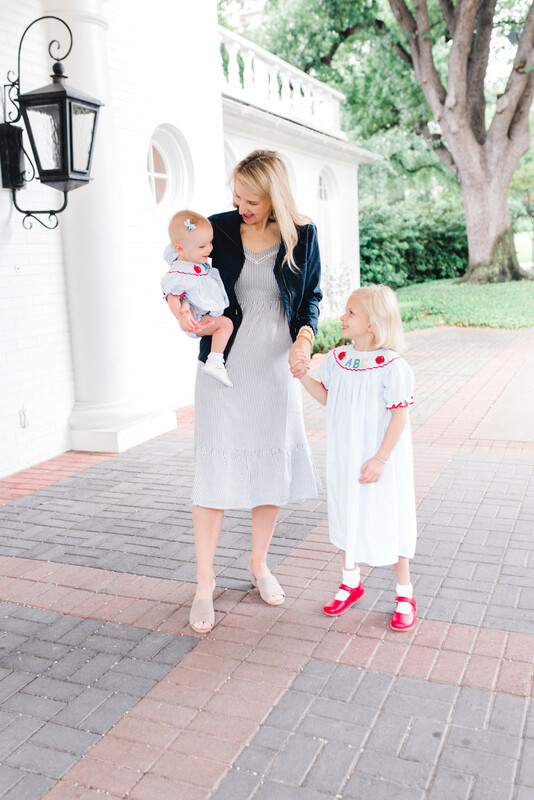 Cecil and Lou was founded by two entrepreneurial moms who set out to make an affordable (and quality) classic children’s clothing line. 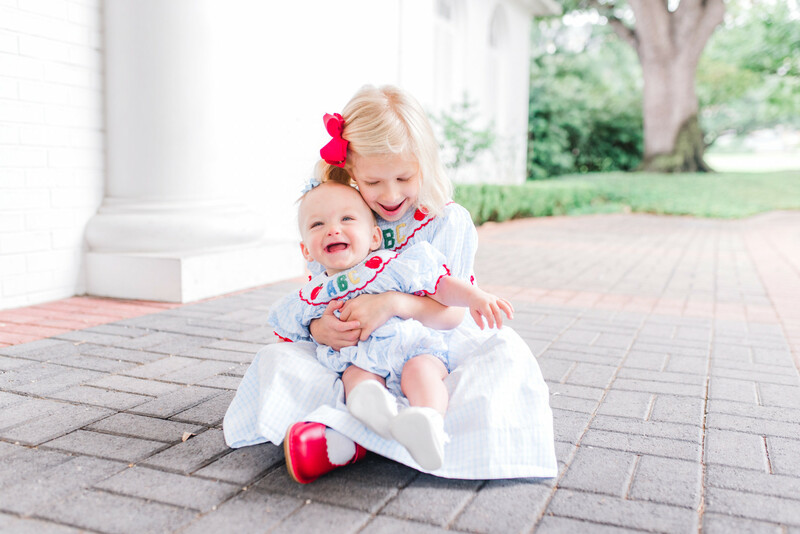 While many of Cecil and Lou’s clothes are pre-order, their sister company, Eliza James, offers affordable monogrammed and appliqué classic children’s clothing that ship immediately. I like to get Cecil and Lou for themed or holiday outfits, especially for the girls to wear on Thanksgiving Day or the Halloween party at preschool. And, of course, first day of school or school picture outfits! 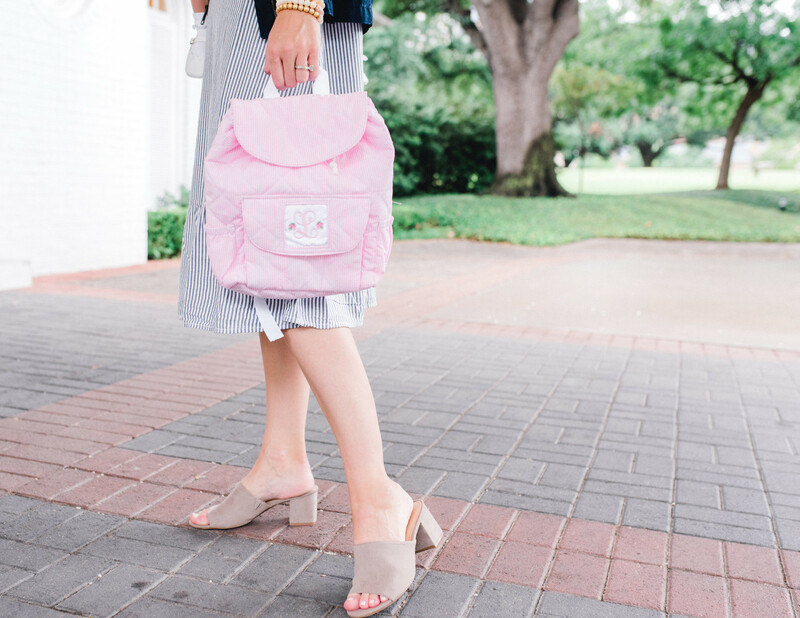 Most pieces in Cecil and Lou’s and Eliza James’ back to school line are around $30, including their adorable backpacks that are perfect for Mother’s Day Out. Louise’s quilted backpack would also be the perfect church nursery bag for a baby (or a great baby gift!). Just about everything in Cecil and Lou’s back to school line has a matching or coordinating sibling outfit for precious first day photos. 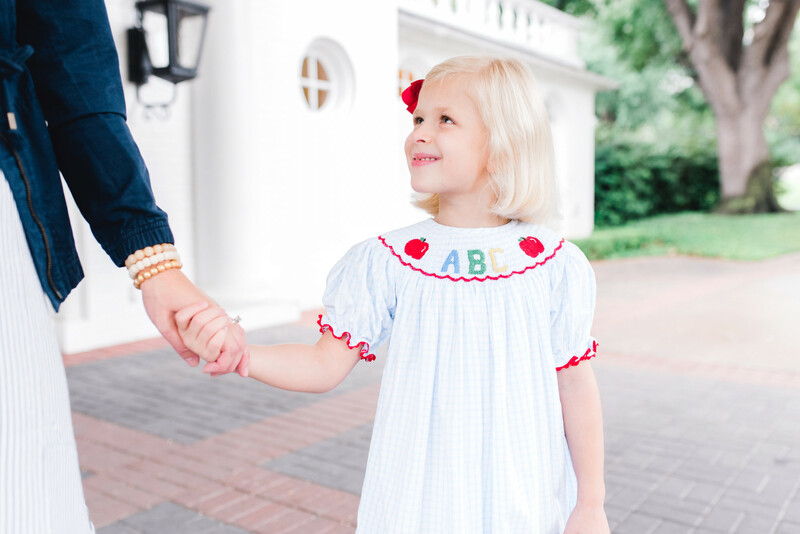 I couldn’t resist this ABC bishop dress and matching bubble for my younger two (sold out out in blue but available in a precious pink!). Don’t forget classic shoes and (monogrammed!) knee highs also available at Cecil and Lou. The price point of these red classic shoes is just right and my girls they think are comfortable which is a huge plus! They still need down time. Whatever happened to nap time during kindergarten? While my girls go to a half-day kindergarten, most kindergartens these days are all day, everyday without any rest time. I am a firm believer in children having down time and not over-scheduling with activities. Even if it’s only 30 minutes after school it can do a world of good for children to have time alone with their thoughts – to play, think, or even just zone out (without t.v.s or iPads). I’ve found many behavioral issues stem from fatigue so always try more rest before anything else! Don’t compare their reading/writing to that of their classmates. There is so much pressure on kindergarteners to read and write, when some are just not developmentally ready. (Just like if you’re child doesn’t walk until 15 months that doesn’t mean he won’t be a good athlete!) If it makes you feel better, my girls didn’t read until the first grade and now are voracious readers of classic children’s books like Little Women and Black Beauty. So take the pressure off them and off you and don’t stress about flash cards. One day they will be in sixth grade and have LOTS of studying to do and you will be wishing you could take strolls to the playground before dinner like you once did:). Keep them little. Their innocence will be brought up to speed quicker than any of us would like so protect their little hearts and minds as long as possible. Giving them lots time to play and being intentional (as well as limiting) the games, movies, t.v. shows you let them watch helps so much in this endeavor. Also dressing my children “like children” in classic clothing (rather than sassy or mature clothing) reminded everyone that they were still children and not mini adults. This may sound odd, anything to push back against the cultural pressure to grow up too soon! Don’t miss Eliza James back to school clothes, too, and now is the time to order fall and collegiate outfits for football games! And if you haven’t seen DoSayGive’s Back to School Favorites post you can find it here. Thanks so much to Cecil and Lou for sponsoring this post! Such perfect thoughts as my oldest daughter started Kindergarten this morning! I appreciate your perspective and timely reminders. Oh I hope it was a good day!! And you are welcome! Just seeing your post today, but I went crazy at Cecil and Lou yesterday with so many spring/summer items on 40% clearance – I’ve got 4th of July covered next year for all 4 of my kids! I couldn’t believe the stock they still had for swimsuits. And I also bought lots of short sets and bubble suits too. I had no problem qualifying for the free shipping ;). Thank you for telling me this! I didn’t even realize all their summer was on clearance! Really appreciate your thoughts and perspective as my oldest started kindergarten this year. I need the reminder to appreciate down time and to not stress about reading, etc. Thanks Lee!